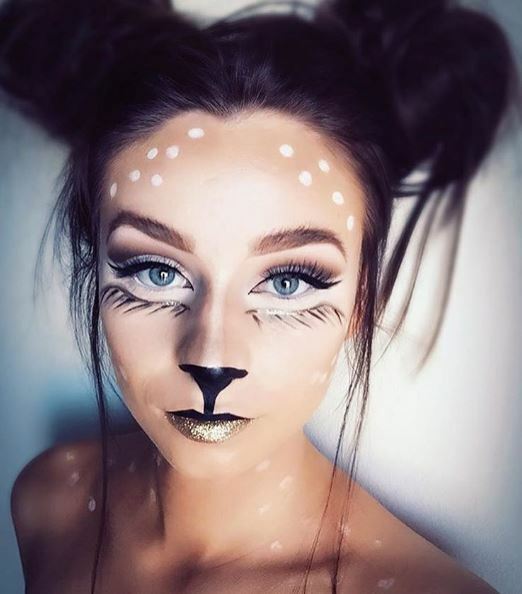 This cute deer look is all about the contour. With a wide brush add loads of bronzer above your forehead, sides of the face, cheeks, chin and the sides of your neck. 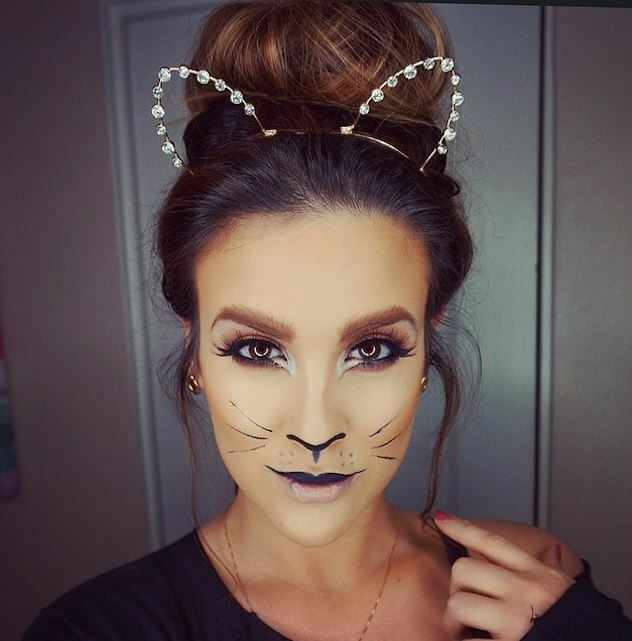 Add lots of blush and draw a cute deer nose on the tip of the nose following it down to your upper lip. Then apply white dots with a white cream make up. Yes deer!! To create Kim K’s not so basic skeleton look, just grab some white and black make up and a sponge. Draw black eyeliner around your eyes and nose and then draw on the teeth and bones. 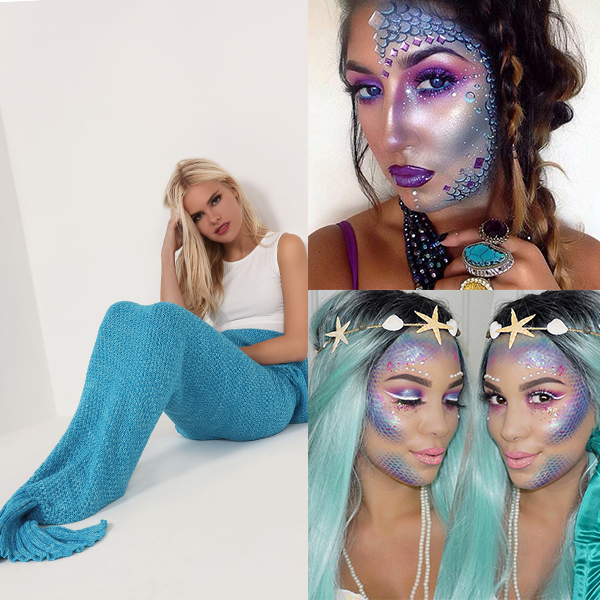 Fill these in with shadow, smudge it around and fix it all with powder.